A sizeable portion of the Bible is devoted to covering events that are eschatological. That is to say, they haven’t happened yet. “Last things”, “future events” and “prophetic truths” are scattered liberally throughout both the Old and New Testaments. One could hardly be a Christian and not have an interest in the meaning of such things. However, that’s where agreement ends and things start to get complicated. The number of differing prophetic views, even among those who believe the Bible is the inspired, infallible Word of God, is bewildering at times. There are two major ‘schemes’ of interpretation among evangelical Christians. These are the ‘glasses’ they wear as they look at Bible prophecy with its ages and stages. One is Covenant Theology – the other, Dispensationalism. The chasm between these views is vast – the differences fundamental and systemic. Webtruth holds Dispensationalism to be correct and sees it as the very key to making sense of the vast sweep of Bible history and prophecy. We are happy to recommend the following 15 books on this topic. As you study eschatology a book of charts can be a great help. 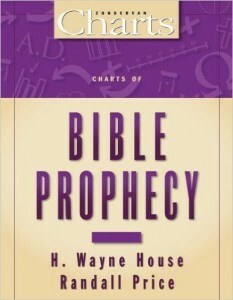 H. Wayne House and Randall Price have done a great job in their “Charts of Bible Prophecy” book (ISBN 9780310218968). Well over 100 charts are included, outlining all the major views on prophecy and giving the pros and cons of each. Included are charts on the Kingdom, the Covenants, the Millennium, key chapters in Daniel, the Dispensations, the Rapture, the Tribulation, the Antichrist, the 70 Weeks, the Judgments and the Resurrections. Seeing these complicated issues laid out in charts and tables is so very helpful and enlightening. The array of material included in this Zondervan title is the best we’ve seen and will make “Charts of Bible Prophecy” a regularly consulted item in any Bible student’s library. The 119 charts are arranged into 13 chapters. Some chapter headings are: ‘Hermeneutics and Prophecy’, ‘Systems of Eschatology’, ‘the Rapture and the Second Coming’, ‘the Nation of Israel’, ‘the Olivet Discourse’, ‘Daniel and Revelation’ and ‘Comparative Eschatology’. 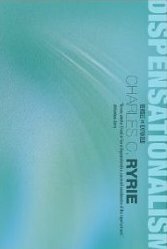 “There Really is a Difference” might sound a strange title for a book, but Renald Showers’s 225 page work is a fantastic volume outlining the key differences between Covenant and Dispensational theology. The 21st Century has seen a resurgence, particularly in North America, of Covenant Theology (with its Calvinism and amillennialism) through the output of bloggers and preachers like John Piper, D.A. Carson, Tim Keller, R.C. Sproul, Alistair Beggs and Tim Challies. One of the reasons why their Covenant theology has made inroads into what was once traditional dispensational territory is the poor grasp many dispensationalists have of “their own view”. They may have no more than a “Left Behind” novel or movie informing their eschatology! 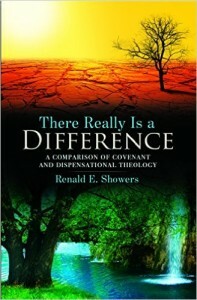 Books like “There Really is a Difference” plugs a gap by giving a nuts and bolts basic look at what is involved and what’s at stake when choosing between Covenant and Dispensational theology. A classic, must have volume! ISBN 9780915540501. 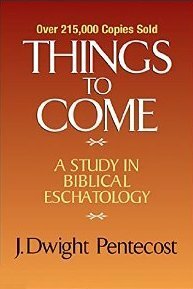 If you want to secure the magnum opus of dispensational theology, look no further than J. Dwight Pentecosts’s “Things to Come” (9780310308904). This is a monumental 632 page work that synthesizes the whole field of prophecy into one unified volume, giving, if you will, a “systematic and complete Biblical eschatology” as it says on the flyleaf. With a 23 page scripture index, you can look up pretty much every verse you’ll ever need in your study of future events. In his first 64 pages, Pentecost lays down the methods and principles of Bible interpretation (hermeneutics) that are a prerequisite for the understanding of Bible prophecy. The next 60 or so pages are taken up with a study of “the Covenants”, a much neglected but absolutely vital part of the picture. Included in the rest of the book are sections dealing with the parables of the Kingdom (Matt 13), the rapture, the tribulation, the millennium, the judgments and the resurrections (yes, there are two of them, 1,000 years apart!). No serious Bible student should be without “Things to Come” (over 215,000 copies sold). While on the subject of classics, there is no better work on the subject of “the Kingdom” than Alva McClean’s work “The Greatness of the Kingdom” (9780884690115). What exactly is “the Kingdom”? Who is in it? When did it start? Will it ever end? Is it different to “the church”? No one could consider themselves well-read on this subject without having read McClean’s 556 page tour de force. When dispensationalists posit a future “kingdom age” and speak of Christ being “the head of the Church” but “the King of Israel”, Reformed critics will sometimes accuse them of not believing in the reign of “the King eternal”. Alva McClean clears up this misunderstanding as he draws out the Biblical difference between the “universal kingdom of God” (Psa 103:19, 1 Chron 29:11-12, Jer 10:7, Dan 4:17, 25, 32) and the “mediatorial Kingdom” which began at creation under Adam (Psa 8:5-8) and will be seen as fully restored and headed up in Christ in the Millennium (Eph 1:9-10), after which it will be “delivered up to the Father” (1 Cor 15:25-26). At that point McClean explains, “…the Mediatorial Kingdom of our Lord ends, not by abolition, but by its mergence into the Universal Kindgom of God. 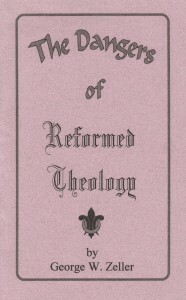 Thus it is perpetuated forever, no longer as a separate entity, but in indissoluble union with the original Kingdom of God from which it sprang…This does not mean the end of our Lord’s regal activity, but rather that from here onward in the unity of the Godhead, He reigns with the Father as the eternal Son. There are no longer two thrones: one His Messianic throne and the other the Father’s throne, as our Lord indicated in Rev 3:21. In the final Kingdom there is but one throne, and it is “the throne of God and of the Lamb” (22:3). A critical piece of the prophetic jigsaw is what is known as “Daniel’s 70 weeks” from Daniel Ch 9. Go wrong here…and the rest of the puzzle will be impossible to piece together correctly. 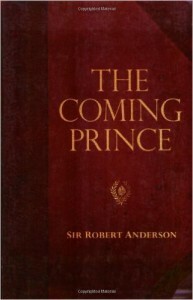 The classic work on Daniel’s 70 weeks is “The Coming Prince” by Sir Robert Anderson (9780825425752). Wikipedia informs us that “Sir Robert Anderson, KCB (1841-1918), was the second Assistant Commissioner (Crime) of the London Metropolitan Police, from 1888 to 1901. He was also an intelligence officer, theologian and writer.” Of his two dozen or so books, “The Coming Prince” is possibly his most famous, second only to “The Gospel and Its Ministry”. With a spiritual mind, a dispensational framework and the investigative dedication of an intelligence officer, Anderson set out to calculate the exact beginning date of the 490 years represented in the 70 weeks. The first 69 of the 70 weeks – totalling exactly 173,880 days – terminated exactly on the day the Lord rode into Jerusalem. Messiah was cut off at that point – rejected by Israel. That left one week – 7 years – remaining to be fulfilled, which will be split into two even halves of 3.5 years (1,260 days each). This matches the data in the book of Revelation and points to a future ‘tribulation’ period, the “time of Jacob’s trouble”, that occurs between the imminent rapture of the Church and the return of Christ to earth at the end of the 7-year-week. This is an astounding 309 page work that has been continuously in print for over 100 years. The im minent rapture of the church before the tribulation is a doctrine expounded and defended in many publications. If you go Stem Publishing’s topical page and scroll down near the bottom on the right, you’ll see two sections called “Prophecy General” and “The Rapture and the Appearing”. The writing of J.N. Darby, William Kelly, W.W. Fereday, C.M. Mackintosh and others on prophetic subjects are all there. This is a rich heritage of expository material from some of the ablest Bible expositors ever to have lived. 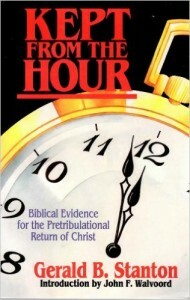 For a couple of full length books setting out the Biblical doctrine of the pre-tribulation rapture, look no further than “Kept from the Hour” (423 pages) by Gerald B. Stanton (9781564530905) and “Maranatha – Our Lord Come!” (288 pages) by Renald Showers (9780915 540228). Stanton’s book is thorough, scholarly and lucid. After answering conclusively “Who is the Restrainer?” in Chapter 5, he makes a powerful case for the imminency of the Rapture in Chapter 6. He also answers all the points raised by those who believe a partial rapture, a mid-tribulation rapture and a post-tribulation rapture before closing his book by looking at around 20 other titles on the pre-tribulation rapture, including some by those who disagree with it. Showers’s book places particular emphasis on the various ‘days’ of prophecy, another subject vital to understanding eschatology aright. His chapter on imminency is worth the price of the whole book. 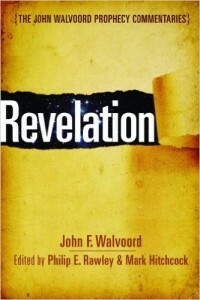 John F. Walvoord (1910–2002) authored over 30 books in his lifetime. As President of Dallas Theologic al Seminary from 1952 to 1986, Walvoord was one of the leading dispensationalists of the 20th Century and specialised in the study of eschatology. 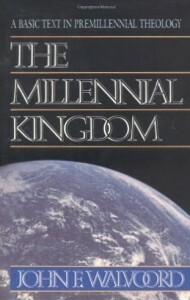 His Millennial Kingdom (9780310340911) is a definitive 370 page work on the subject of the 1,000 year reign of Christ spoken of in Revelation Ch 20. Walvoord outlines the differences between post-millennialism, a-millennialism and pre-millennialism in meticulous detail and sets out a powerful case for pre-millennialism being the correct Biblical view. Here are some of his chapter headings: ‘Amillennialism from Augustine to Modern Times’, ‘Interpretation of the Abrahamic Covenant’, ‘Will Israel Possess the Promised Land?’, ‘Will Israel be restored as a nation?’, ‘Premillennialism and the Rapture’ and ‘The Great Tribulation’. A person’s view of the Millennium affects their understanding of the entire spectrum of eschatology so there’s no better place to start than The Millennial Kingdom as you grapple with this vital issue. The most critical Bible books dealing with future events are the Old Testament book of Daniel on the one hand an d the New Testament book of Revelation on the other. These two Bible books cannot be understood in isolation. Aside from a grasp of other critical prophetic chapters in Scripture (Jer 30-31, Eze 34-48, Joel 1-3, Zech 12-14, Matt 24-25, Rom 9-11, 1 Cor 15, 1 Thess 4-5, 2 Thess 2, 2 Pet 3), no adequate working knowledge of God’s prophetic programme can be attained without a thorough grasp of the contents of both Daniel and Revelation. There are dozens of excellent dispensational commentaries on these two Bible books, but none will prove more useful that John F. Walvoord’s. 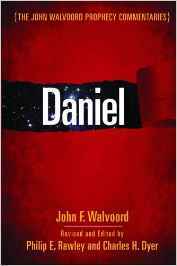 Walvood wrote a 320 page commentary on Daniel (9780802417534) and a 350 page commentary on Revelation (9780802473097). These are thorough verse by verse commentaries which take a pre-tribulational, pre-millennial view of eachatology. 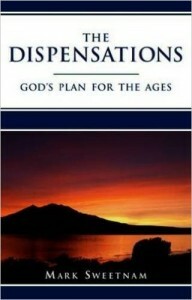 Both works are highly recommended as vital additions to the libraries of all Bible students. 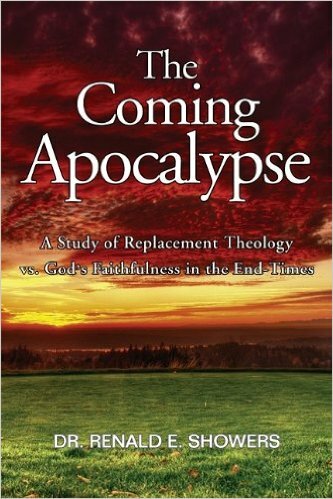 “The Coming Apocalypse” by Renald Showers (9780915540075) is a 118 page book examining ‘Replacement Theology”, which is the teaching that the Christian church has replaced national Israel in the plan and purposes of God. Reformed teachers tell us that many of the promises that God made to Israel must be ‘spiritualised’. When the Bible speaks of Israel being “restored to the land”, this really means that the Church will be blessed by God with enlargement and expansion. Likewise the promises made with ‘Israel’ are actually fulfilled in the Church today. Showers tackles this head on. Say he, “It’s wrong!” He gives a historical review of the teachings of church leaders of past generations such as Justin Martyr, Tertullian, Origen, Dionysius, Cyprian, John Chrysostom, Ambrose, Augustine and Martin Luther. He explains how Replacement Theology affected both Biblical ecclesiology and eschatology in powerful and deleterious ways after the pre-millennialism of the first three centuries was discarded in favour of a-millennialism. Showers rightly contends that if God cannot be trusted to keep His promises to Israel, then how can Christians trust Him to keep His promises to them? This is brought out by Paul in Romans 9-11. 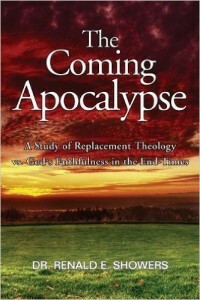 “The Coming Apocalypse” is a book to be read and reread. Zeller’s book is available online, so there’s no need to look up ISBN’s! If you only read one book in this list, be sure to read Zeller.